Ella Baker didn’t write her memoirs, and there is as yet no collection of her writings — I am hoping that there will be one at some point. I always prefer to start with people’s own words, though I love biographies like this one too. My only possible critique is perhaps that there weren’t enough of Baker’s own words in here since they are so hard to find elsewhere. This is a good quote though. In order for us as poor and oppressed people to become a part of a society that is meaningful, the system under which we now exist has to be radically changed. This means that we are going to have to learn to think in radical terms. I use the term radical in its original meaning–getting down to and understanding the root cause. It means facing a system that does not lend itself to you needs and devising means by which you change that system. Not everyone agreed with her on this, and just like Septima Clark she faced down a lot of sexism in the movement, as well as having to overcome some of her own class prejudices. 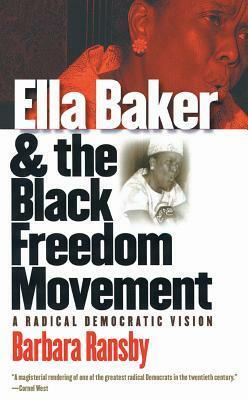 This post is a bit listy because Ella Baker did so much. Still, it’s a start for thinking about the meaning of her practice and all she achieved. Ransby tells a story about Ella Baker, that she would ask those she met, ‘Who were your people?’ What I like most about Ell Baker is that she ended up choosing her people, but it’s still a good question. They donated some of this land for a school. A lot of these threads go way back. This is all wrapped up in the philosophies of the Southern Baptist and coloured Women’s clubs “lift as we climb” approach to community service. Lucky all that Baker moved far away from much of that, in struggle as much as geography. Moved as far as Harlem, in fact, in 1927. Founded by socialists in 1921, Brookwood’s 1st chairman of the faculty was A.J. Muste — leader in the labour movement, then member (later head) of the Fellowship of Reconciliation (FOR) which shows up again and again (and then again) in radical histories of the century. There Baker met Pauli Murray, a longtime friend and comrade, someone else to read more about. In 1936 she began working as a consumer education teacher for the Workers Education project (WEP) of the WPA — who didn’t work for the WPA? I would give almost anything to have been hanging around there…she did what she did and looked for jobs that would support her in that. I love this quote too. Love how Baker wants to stay put, spend more time developing relationships, really organise rather than just get some members and raise some money. NAACP didn’t have much idea what was possible through that. Still, in 1943, her friends unexpectedly catapulted her into the position of the NAACP’s director of branches — White didn’t even ask her before putting out press release. She was pretty pissed, but she ended up saying yes. How could you say no? She traveled the country, still getting members, still raising money. In the early 1950s (now over 20 years since she first started this kind of work mind, some long hard years and she’s still going) she became part of the struggle to improve public education. After Brown v Board she worked with Kenneth and Mamie Phipps Clark to fight for ‘community-based’ models of learning. They founded Parents in Action, trying to bring together African American and Puerto Rican parents in the same struggle for education. The group was able to act with autonomy from the more constricting NAACP — feels like Baker had a very conflicted relationship with the NAACP. She had an ambiguous relationship to the NAACP’s communist purging as well, part of the committee, but she worked with socialists before and after all of this. You’re doing good work in the community, she would work with you. In 1955 she also joined Stanley Levison and Bayard Rustin to form In Friendship to funnel resources to Montgomery Bus Boycott … this would later be essentially taken over by E. Phillip Randolph, to be run by a committee handpicked by George Meany, head of the AFL-CIO. Still, it is through In Friendship that Ella Baker would be on hand to help form the SCLC. Then there’s SNCC, and the heart of her most exciting popular education and organising work, as well as lessons learned. To be saved for part 2, but first? 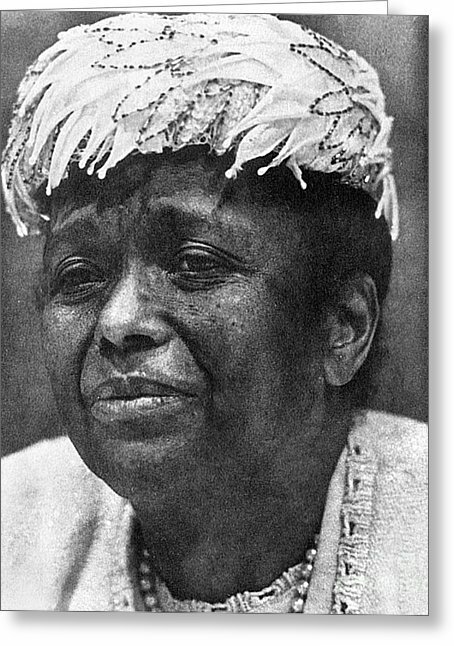 A side note — I absolutely love that one of Ella Baker’s few indulgences were her fabulous hats. ELLA BAKER (1903-1986). American civil rights activist. Photograph, c1970 Granger.